The artwork of Zhuang Hong Yi reflects the spirit of two different cultures. Born in 1962, his whole oeuvre is influenced by his Chinese culture and the Netherlands were he has been living and working for over 19 years. Contrast is a current theme in his oeuvre. The flowers in his works are made of rice paper using mineral paint in traditional colours. Zhuang Hong Yi assembles them on the canvas together with varnish, resin, acryl and Chinese ink in perfect harmony. 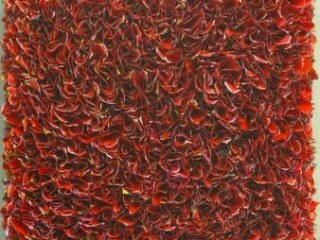 Zhuang Hong Yi arrives to create an expressive three dimensional sculpture-like work of art in a very aesthetic way. I'm interested in this Flower by Zhuang Hongyi. Please advise availability and price. Thank you. The artwork of Zhuang Hong Yi reflects the spirit of two different cultures. Born in 1962, his whole oeuvre is influenced both by his Chinese culture and the Netherlands where he has been living and working for over 19 years. Contrast is a current theme in his oeuvre. The flowers in his works are made of rice paper and painted with mineral paint in traditional colours. Zhuang Hong Yi assembles them on the canvas together with varnish, resin, acrylic and Chinese ink in perfect harmony. 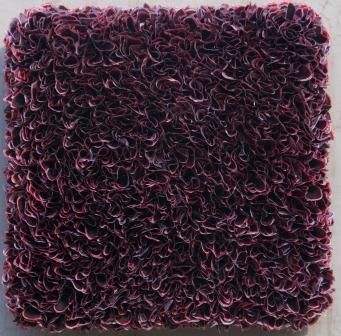 Zhuang Hong Yi aims to create expressive three dimensional sculpture-like works of art.